12V DC desktop Universal AC regulated power supply. 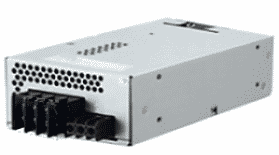 This is a compact, high quality, 600W switchmode regulated power supply at a great price. It has a pot to adjust the voltage without opening the case with adjustable voltage from 10.8V to 13.2V. It is perfect for running car audio equipment, in which case the adjustment pot should be turned all the way up to 13.2 volts to make the amplifiers more efficient. Universal AC input (85VAC to 264VAC) is unusual for such high power. On Sale. List price is $262. Note: Refurbished units were removed from new equipment and load tested.